So which movie DIDN’T I see? When we last tuned in, or at least on February 25th, I posted a list of movies where the weather made a significant difference to the story and I challenged folks to guess which one of the movies I never saw. I even thought I might help out with a hint that I thought would effectively eliminate about half of the movies listed. Alas, no one guessed the correct movie! I’ve seen Twister, The Wizard of Oz, The Perfect Storm, The Day After Tomorrow, Groundhog Day, Forrest Gump, Gone With The Wind, The Shining, The Truman Show, Casablanca, and Star Wars Episode VI: Return of the Jedi. But since I really want to give away some books, I’m emailing out a few .pdf copies of my Living, Breathing, Writing books anyway. 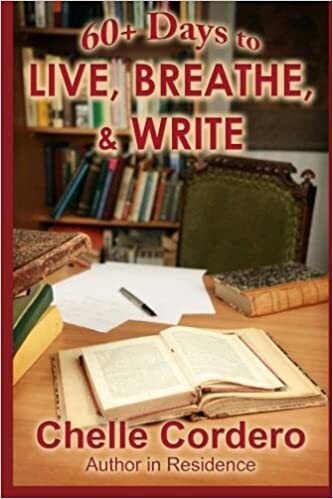 These books are based on my successful Amazon Kindle blog Living, Breathing, Writing.